San Francisco was my first grown-up love. Oh sure, I had my college crush on Boston, but San Francisco was my sophisticated, big-girl-with-a-paycheck love, and it did not disappoint. My move to San Francisco happened during the days of the very first dot.com boom (yes, I'm dating myself! ), and finding a place to live was a crush. Somehow, I was lucky enough to land a room in a victorian in Duboce Triangle with 4 other roommates, 2 dogs & a cat. It felt pretty perfect. Over the next 2.5 years I fell deeply in love with the city and my little place within it - just a few blocks in any direction from the Castro, the Haight and the Mission. Even 15 years later, I still feel it's tug on my heart. 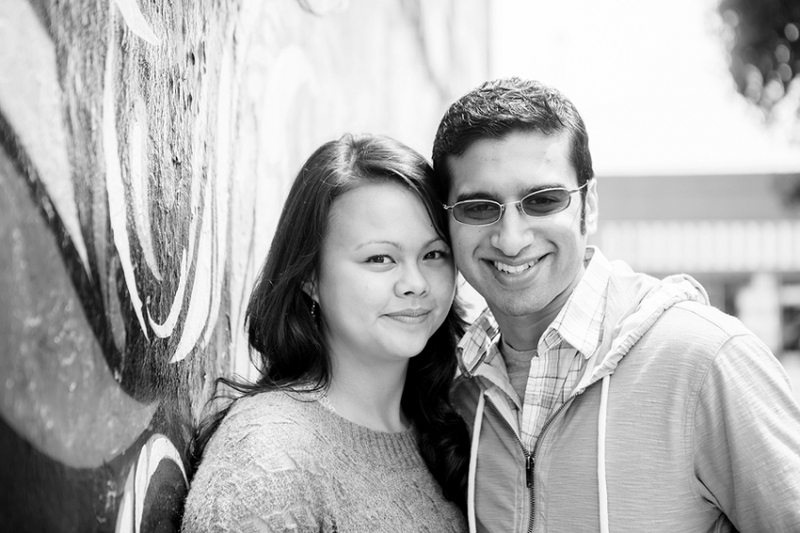 So, I was thrilled when Anna & Amir booked me for their wedding at The Foreign Cinema, right in the heart of the Mission. The Foreign Cinema is an amazing space and since Anna & Amir live within walking distance of the venue, we met to do a site visit and their engagement session. I loved using the Mission as the backdrop for their images. We were able to stop by some of their favorite spots along Valencia and Dolores park, and lots of colorful doorways and walls along the way. It was a beautiful day and so much fun to spend time with these two. They have an easy-going connection that seems effortless and perfectly complimentary. 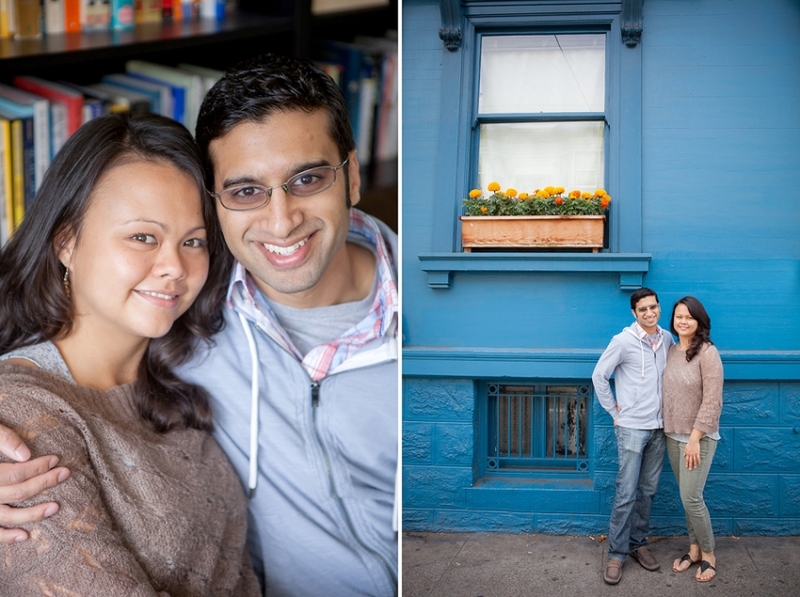 I'm really looking forward to capturing their wedding day in this incredible city, in one of my most favorite spots! Here are a few favorites from their session (and a little medium format film mixed in - can you spot them? ), or view their slideshow for more! Anna & Amir! Thank you so much for inviting me to capture your sweet love! I'm so very excited for your wedding day!